Bisserov Sisters sextet – two generations of singers. 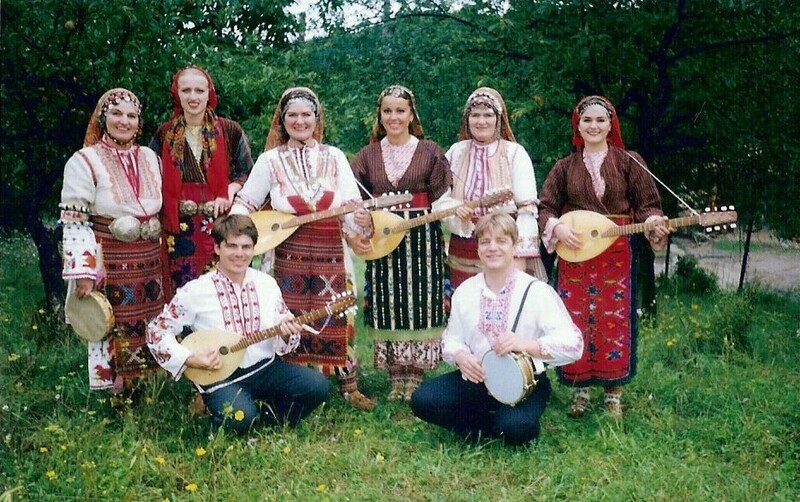 The singers perform some of the most favourite traditional songs as well as the finest developments and arrangements from leading composers, accompanying their songs on stringed instruments (tambura) and percussion (djembe drums, tambourine). 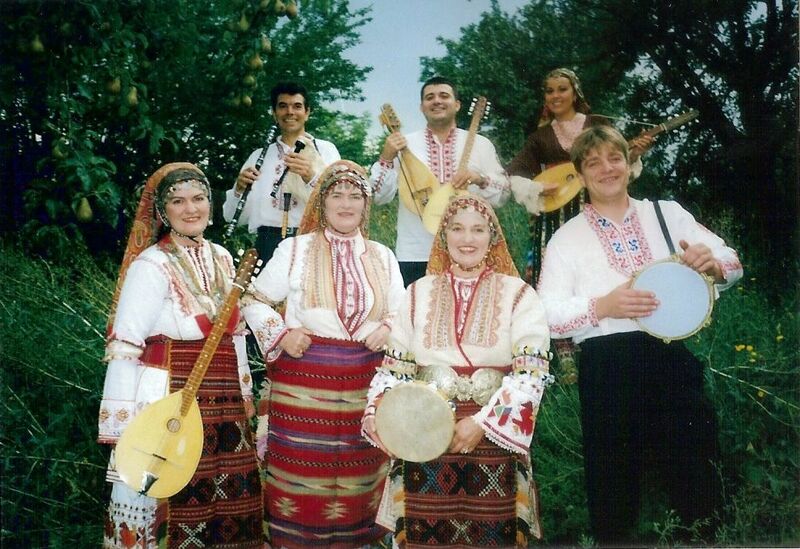 Bisserov Sisters Family with guest musicians: bagpipe, flute and gadulka (violine). The group performs authentic ritual of a wedding scene that impresses entertains the audience. Six women and five men, all play and sing together. 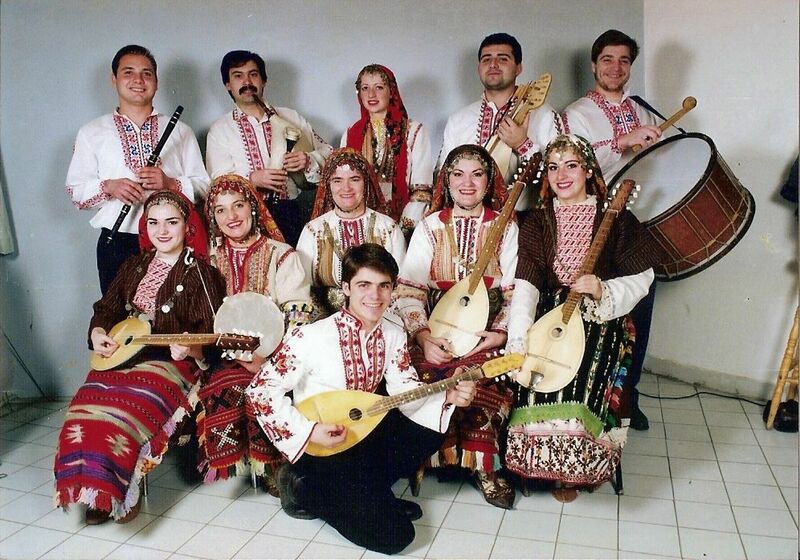 Imagine the impact of live original sonority, preserved over the centuries until today, served by the Bisserov sisters and family specially for you! 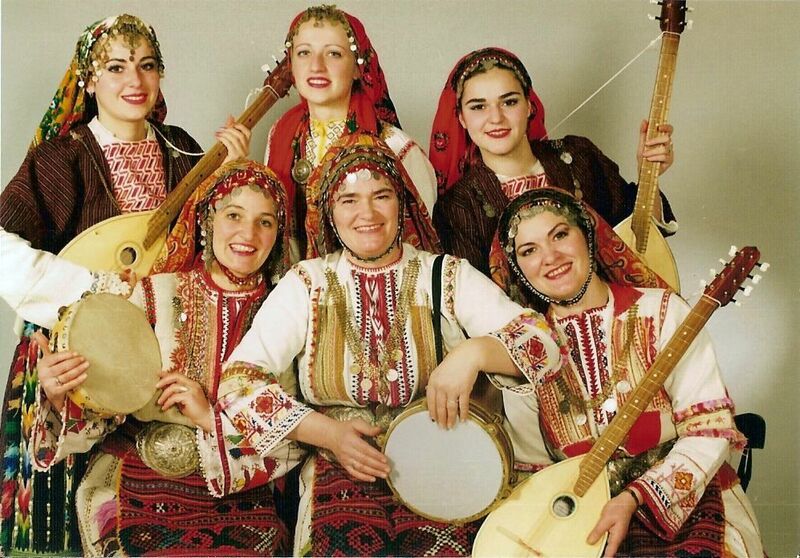 You will be enchanted by the sonority of voices and musical instruments, the beauty of the Bulgarian woman and her colorful outfits, stored and brilliantly presented.